Preplanning your funeral is easier than you might think. Listed below are the steps involved in the preplanning process. Before you begin to plan, it's important for you to consider how you want your life to be remembered. To help you with this process, Morizzo Funeral Home will help you with different options for Funerals. This thought-provoking guide allows you and your family to record how you would like your life to be remembered and celebrated. You can meet with a planning professional who will explain the various options available. Lastly you will review prefunding payment options. Funeral expenses, like many other valuable services, increase over time. 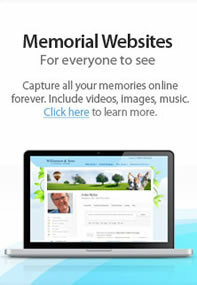 By prefunding at today's prices, you can be assured that the money will be there to cover future funeral costs. In three easy steps you will be amazed at the peace of mind you will gain by going through this process. Your family will appreciate your thoughtfulness to preplan and prefund for your end-of-life celebration. Below are some of the more common items people need to consider when planning a funeral. If this looks a bit overwhelming, don't worry, we have extensive experience in assisting people with these important choices and many other matters. - Make sure your representative has a list of important account information or telephone numbers for retirement plans, insurance policies, investments, bank accounts, safe-deposit boxes, properties, preferred law and accountant firms and funeral homes. Remind your personal representative that the Social Security Administration will be notified by the funeral home; and in some cases they need to be notified; if you're receiving benefits such as those from the Veteran's Administration, they should be contacted as well. - Designate a power of attorney and power of health care; to ensure that proper information can be accessed in the event of your illness or death. Make sure a durable power of attorney for health care and a living will are in place so that your wishes are carried out if you are unable to do so. You can also contact us for additional information. We're pleased to answer any questions you may have, without obligation. We can alway be reached at 847-752-6444.